We've seen a lot of controversy over failed Kickstarters in recent years, but I'm not so sure we've seen one handled quite like this: with a bit of transparency. And bless my soul, it's going over relatively well with its backers as well. Not everyone is pleased, but it's amazing what a little bit of honesty can do for you. 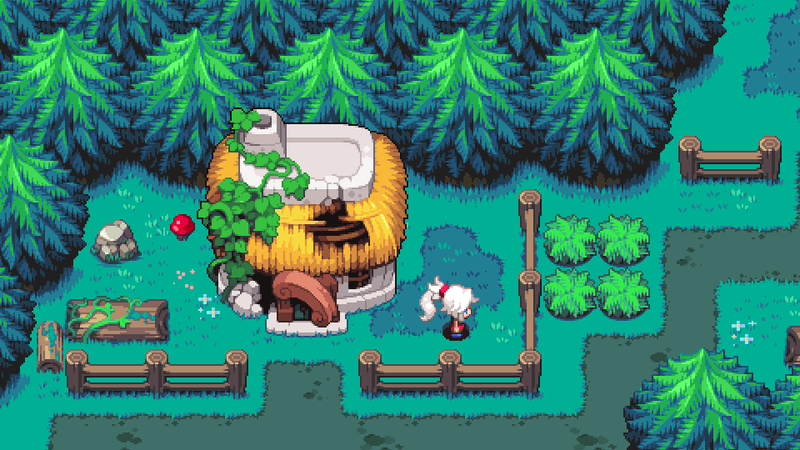 A few months have passed since Midora developer William "Mhyre" Ledent claimed he ran out of money from the $73,470 sum he raised through Kickstarter. He admitted that he knew the original $60,000 goal was insufficient to make the game, probably his biggest mistake, and he has since tried his best to find a buyer to help make his game. When that came up short, instead of disappearing off the face of the Earth, he decided to tackle the project's failure head on. Ledent announced plans in the latest update to start offering refunds, but these will not be available until this summer due to him needing to repay those he has a personal obligation to. I first have to pay back close relatives and other parties that helped me way before the Kickstarter. Then, I will have to stabilize my own situation. I can't offer refunds as soon as I earn money from a new job. I will need to save up money to create my own insurance, to be able to cover unexpected situations, emergencies. The refunds will be coming out of his own pocket since he has nothing left from the Kickstarter campaign to give back, and he is not shy about his desire to see people not asking for refunds either. Despite having no legal obligation to do so, he will be offering partial refunds if requested. However, once that's done, I don't have many options and I won't be able to offer refunds to certain people. Some people have pledged quite a bit of money on this Kickstarter and I can't exactly repay them in full. Not at first. There is also the problem of how money will be transferred, and for this only one option is available to me: PayPal. This will certainly make some of you upset but, as someone who currently lives in Europe, I don't have many other options. He closed with this poignant line though. With the decision of offering refunds, Midora certainly becomes a distant dream. However, I am not giving up on it at all. My goal is to get back on this project as soon as possible, using money I will hopefully make on other projects. The less refunds, the sooner you can expect me to go back to Midora and bring you the game we all believed in from the start. So here we have a guy who asked for money, and ran out while making the game. Maybe he got more than he asked for and expanded too far, or maybe it wasn't enough to begin with. Who knows? However, there are no runarounds. No proof of fraud, scams, purposefully deceiving his backers, misuses of funding, or trying to make off like a bandit with the remaining money. He's even looking forward to getting back to his vision, delivering the final product through his own funding. Asking for a refund hinders that. There have been some Kickstarters failures that were handled very poorly, but Ledent seems set on "doing the right thing" without an obligation to do so. Ultimately, that means punishment via debt over something he honestly used the money for. There are two sides to every story, and Kickstarter failures have lives too. Pulverizing a man's financial situation and general life for failing to make a video game is excessively harsh. …which looks really good by the way, especially if you love The Minish Cap, like me.